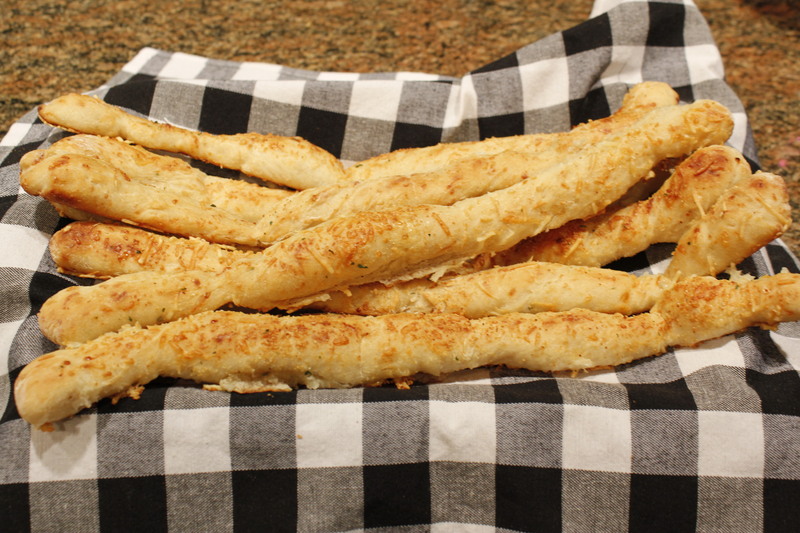 I found a version of this recipe for breadsticks on Krusteaz’s* website and since I already had a box of its no-knead, country white artisan bread mix, I decided to give it a try. I’m not sure if I followed the recipe correctly since the wording of it was somewhat ambiguous, but I did have great success preparing these breadsticks how I thought was right. They had a wonderful flavor with just enough cheese and garlic to be heavenly. Your kitchen will smell awesome, too. 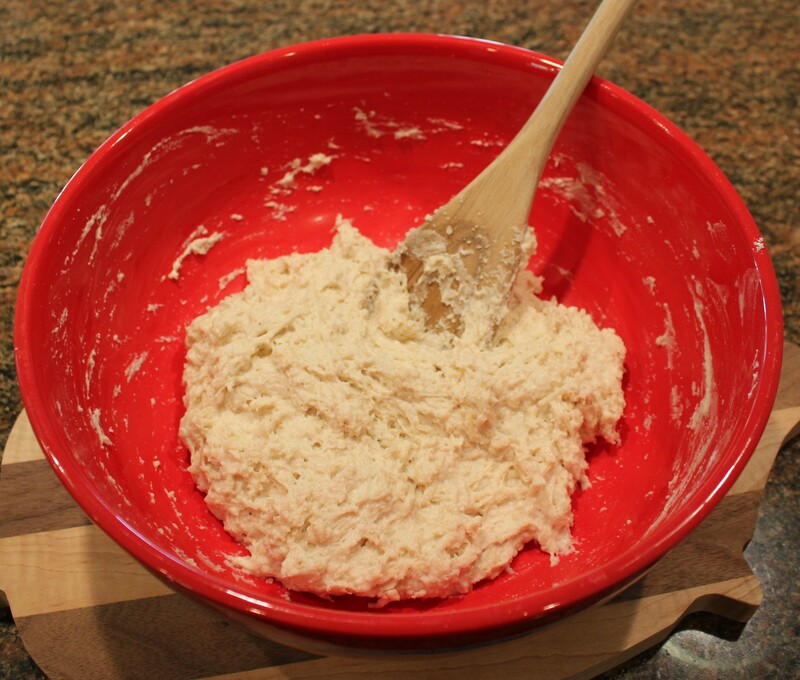 What I like about this recipe is that you don’t have to knead the dough — a big plus in my book. 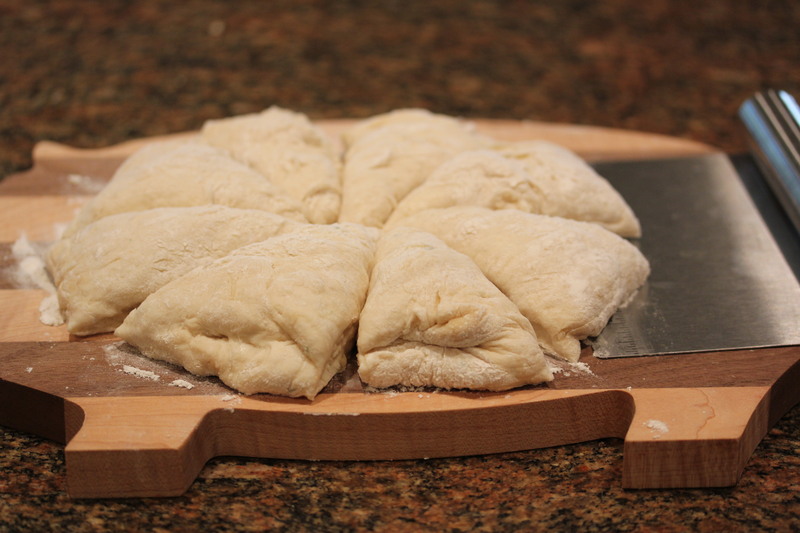 However, it does take a while to make these, mainly because you have to let the dough rise. If you leave about three hours from start to finish, you should be good to go. 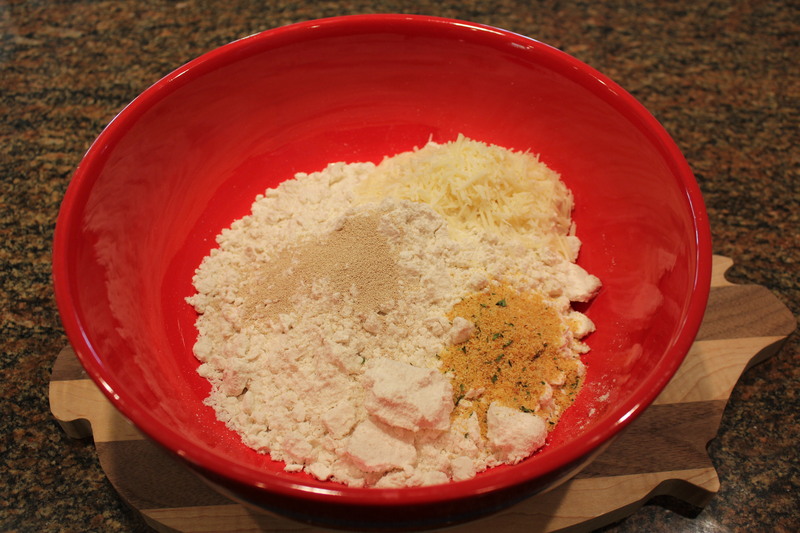 In a large bowl, mix the bread mix, enclosed yeast package, cheese and garlic powder. Add the water and stir until moistened. The dough will be sticky. Cover and let rise until the dough has doubled in size, about 2 hours. 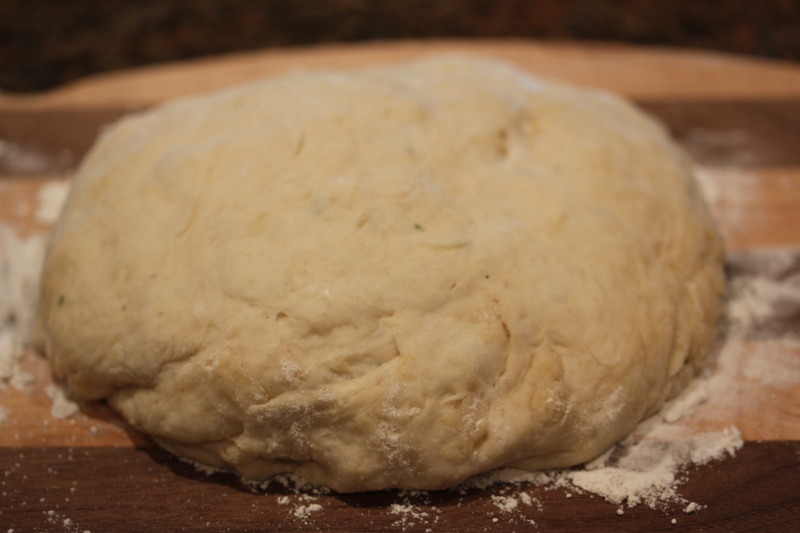 Sprinkle dough with flour, and transfer to a floured cutting board. Let dough rise for another 40 minutes, uncovered. Cut the dough into 8 even sections. 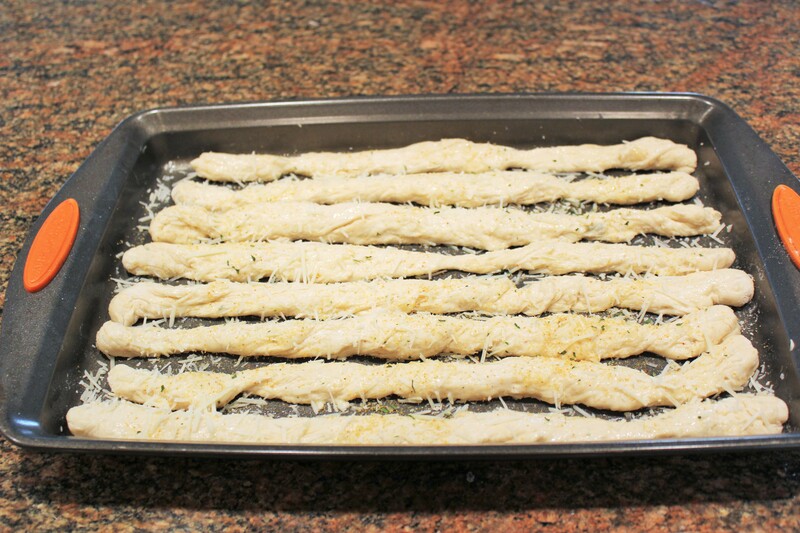 Form each section into a breadstick by rolling the dough between your hands or else on a cutting board. 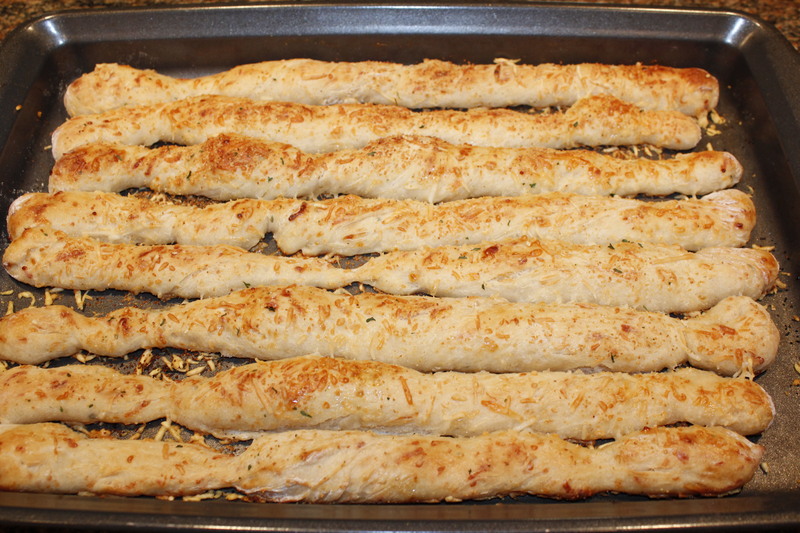 Place the breadstick on a greased baking sheet. 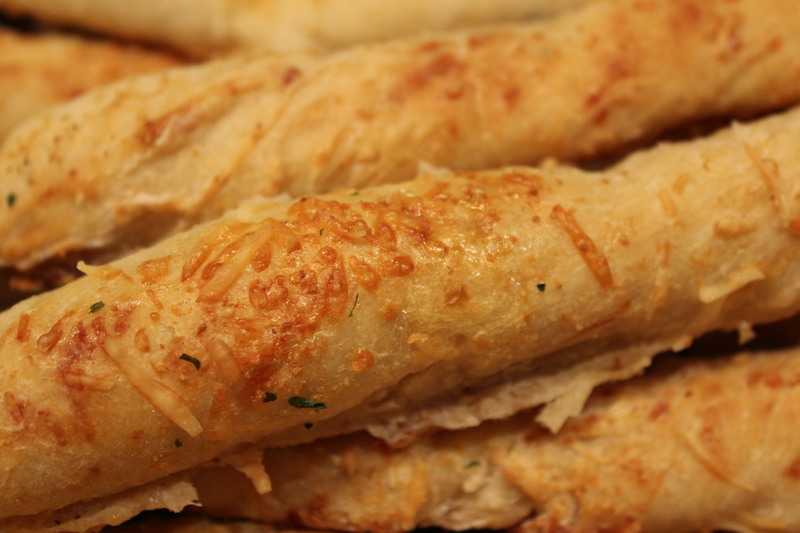 Brush the breadsticks with the egg white and sprinkle them with more of the cheese and garlic powder. Do this for both sides of the breadsticks. Bake for 10-15 minutes or so, until golden brown. These go great with pasta, salads, etc. Or serve them this weekend with your Easter ham and fixings. *Disclaimer: I am not affiliated with Krusteaz in any way except I do love its products, like this bread mix that was sent to me to try for free. 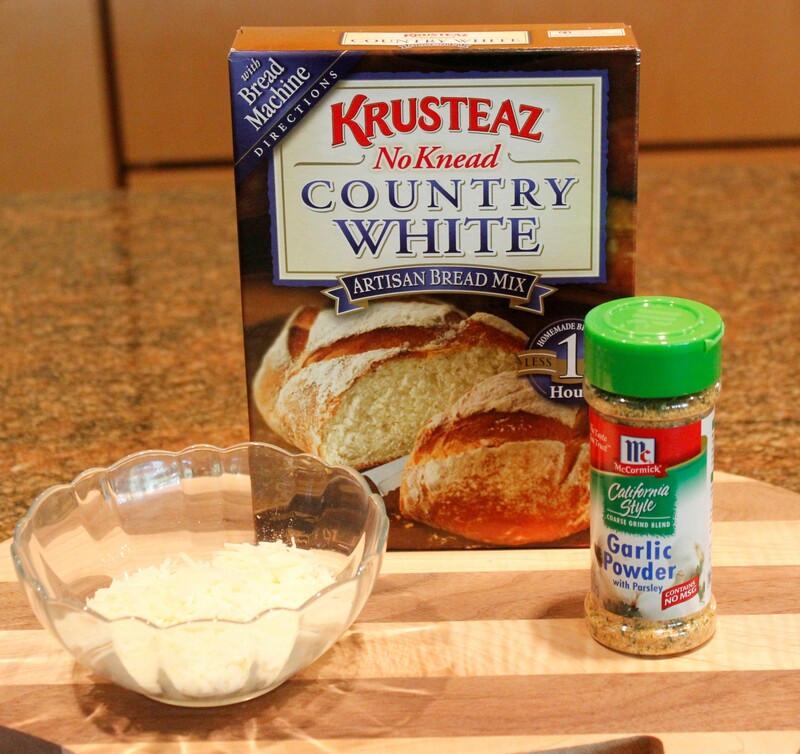 This entry was posted in Breads, Product Reviews, Recipes and tagged eat drink and be merry, Kel's garlic and cheese breadsticks, Kelley Chisholm recipes, Krusteaz baking mixes, Krusteaz breadstick recipe, No knead breadstick recipe. Bookmark the permalink.